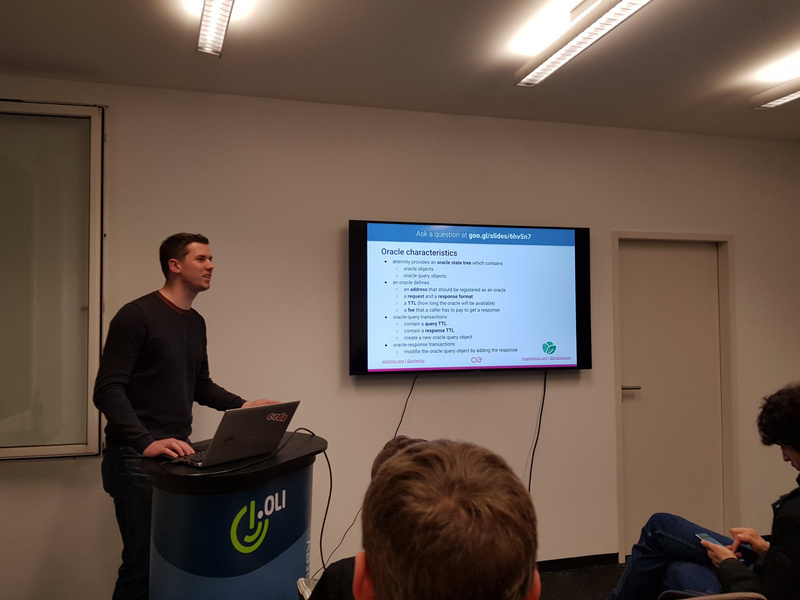 Yesterday I had the honor to present æternity to the technical audience in Suttgart at OLI Systems as part of the CryptoMonday meetups. 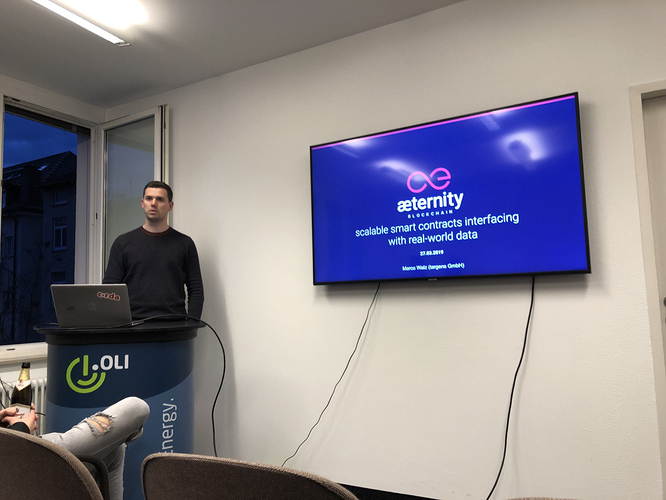 I tried to cover all features æternity currently provides. 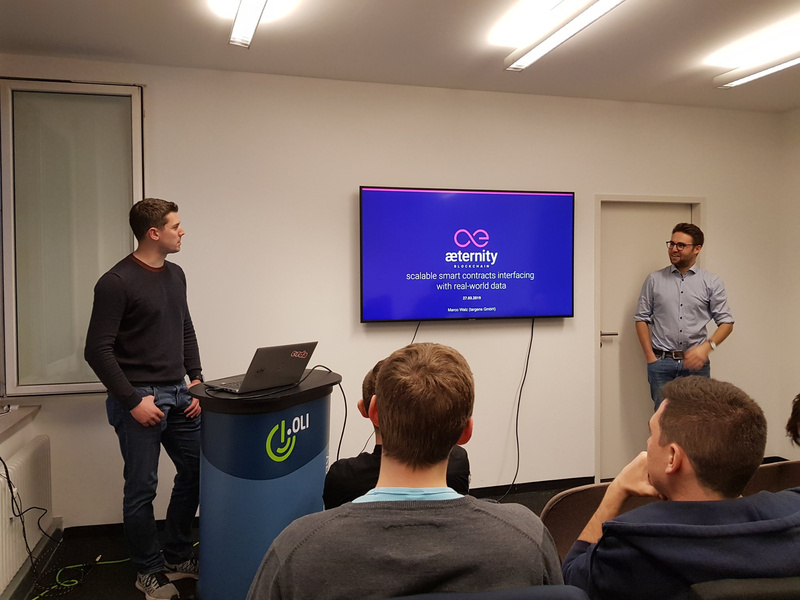 I think the audience had fun (especially to take the quiz at the end of the presentation to win some tokens ) and is now interested in learning more about æternity in general. That’s an excellent first meetup @marc0olo!! Hope to see more technical workshops soon from you! Really nice! Looks like you included quite a few details in your presentation. That’s what we need. 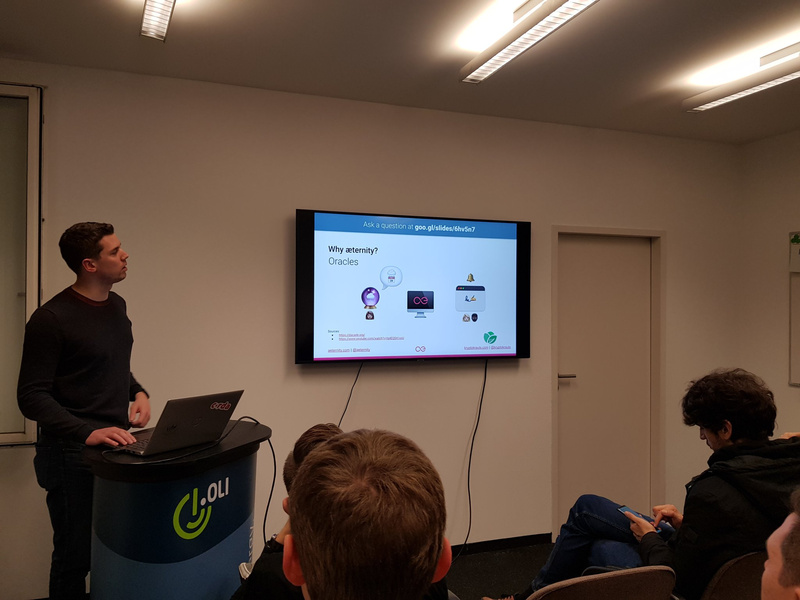 how can state channels be compared to lightning network / are state channels similar to the lightning network? 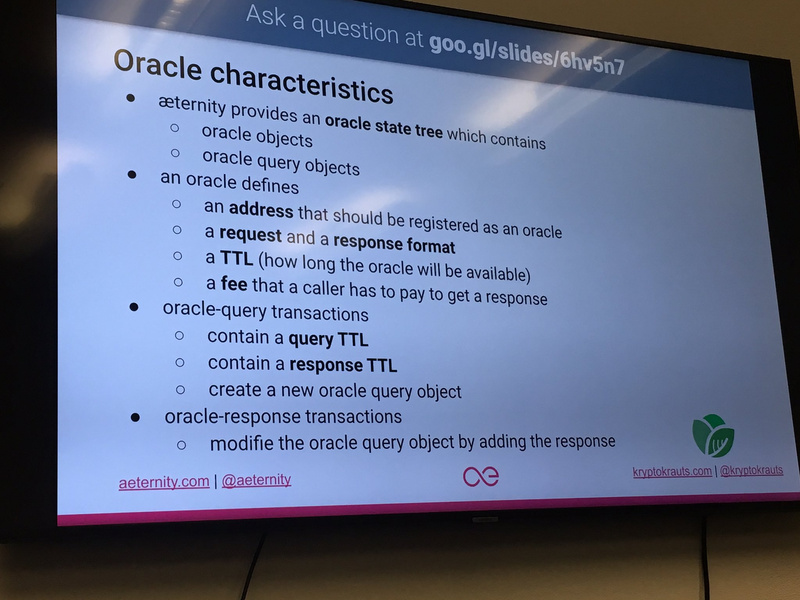 how can the reputation / realibility of an oracle be determined if the queries get garbage collected after the TTL expired? regarding governance --> is there any penal system if a vote decided to go for feature XY but then it won’t be implemented?